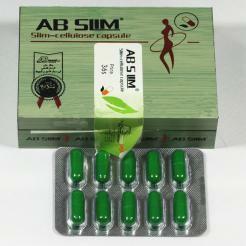 Ideal for Keto Diet, low carb diet, low calorie diet and a perfect complement to the clinically proven SlimFast Plan. 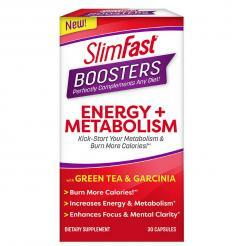 SlimFast Boosters each serve a unique function as part of your diet plan. 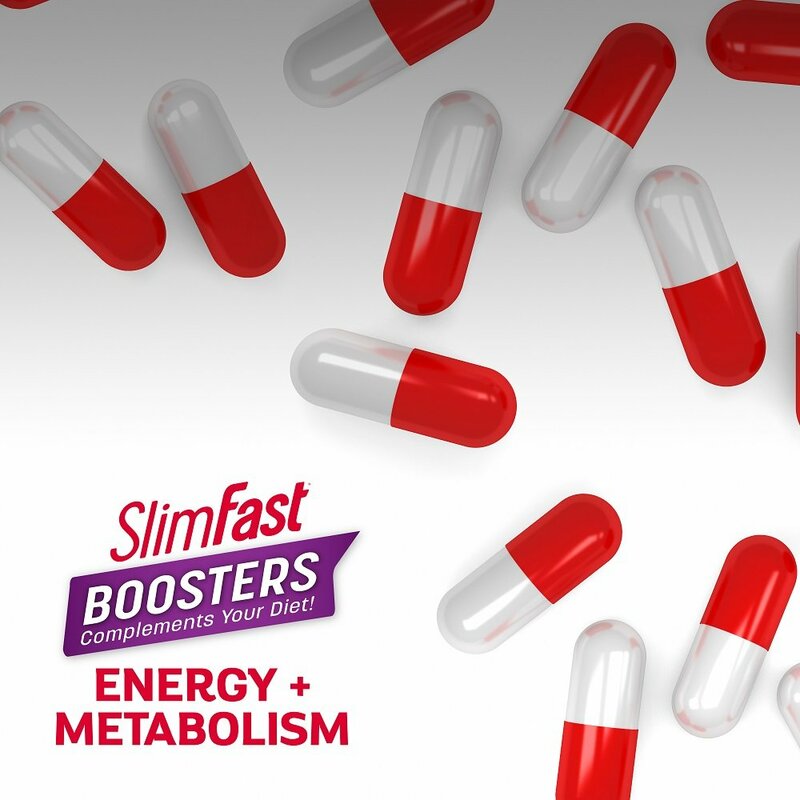 Whether you protect yourself from the occasional cheat, curb cravings or kickstart your metabolism, there’s a SlimFast Booster to help. 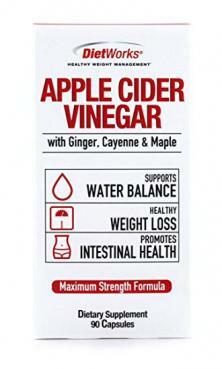 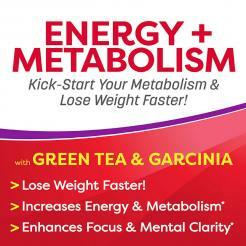 Whether you’re SlimFast or Atkins, Low Carb or Low Fat. 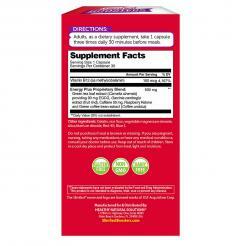 Mediterranean or Macrobiotic, SlimFast Boosters ignite your diet plan. 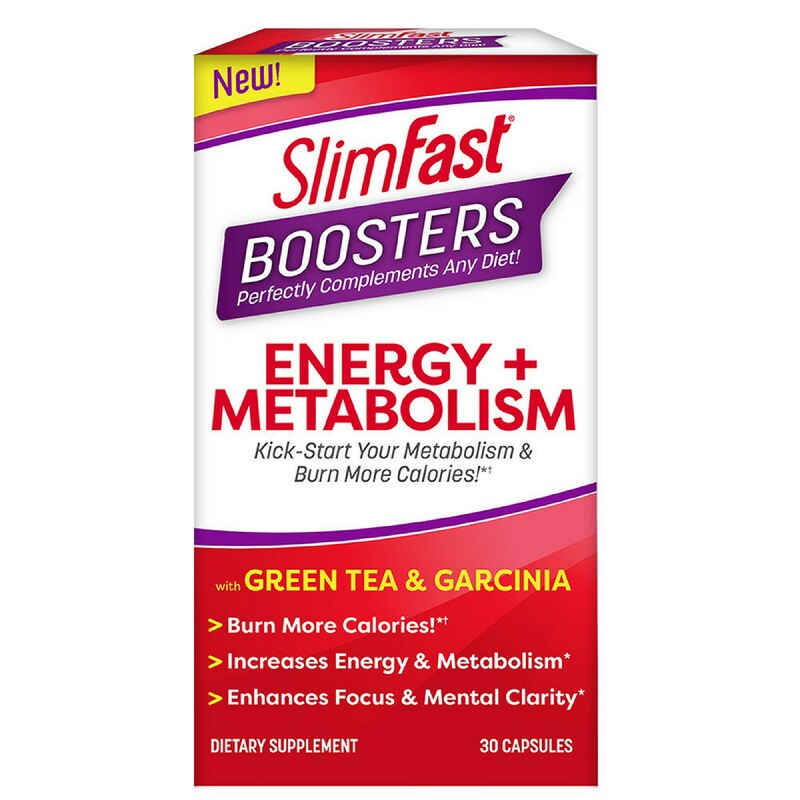 Control your cravings, burn more calories, block carbs and fat with SlimFast Boosters. 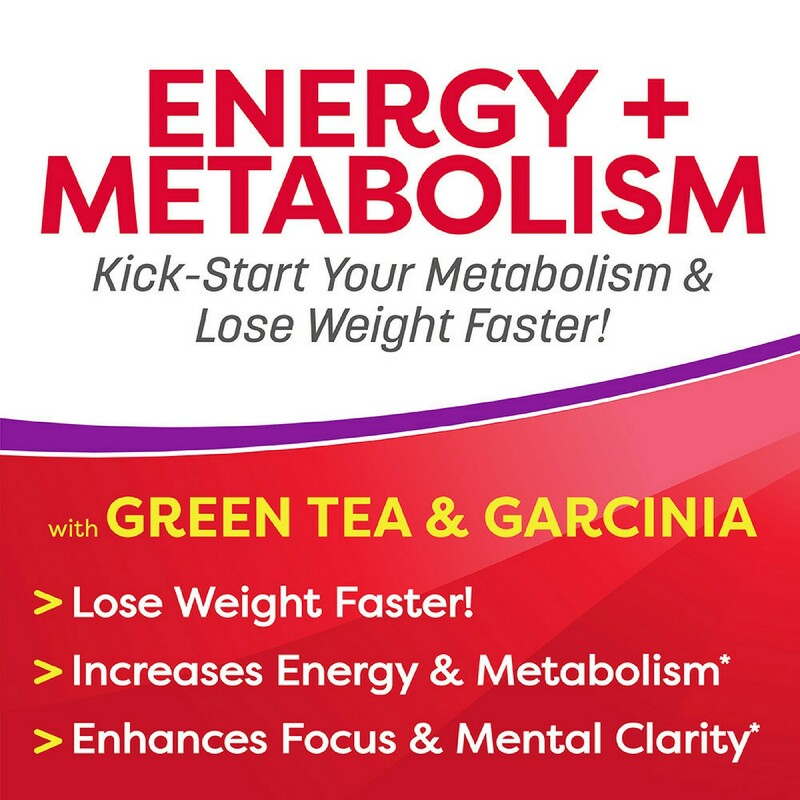 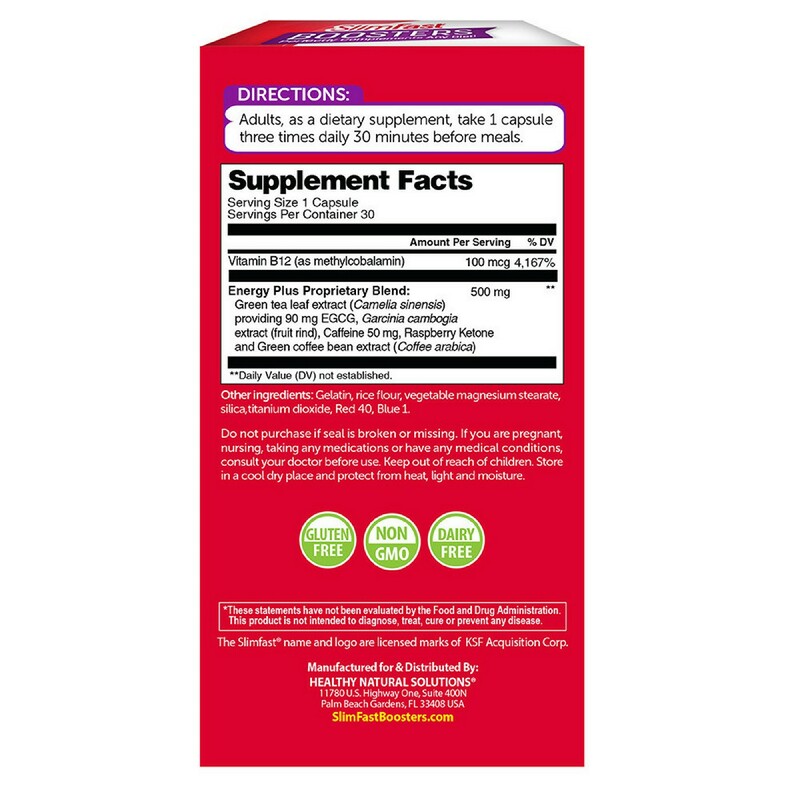 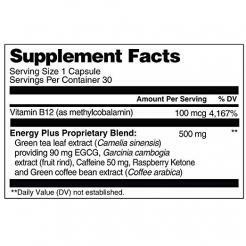 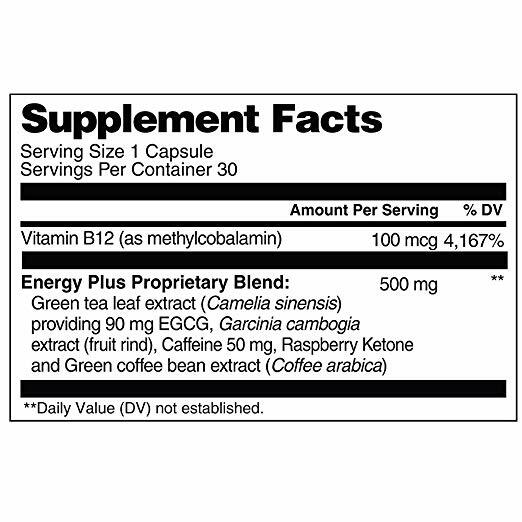 Green tea leaf extract (Camelia sinensis),providing 90 mg EGCG, Garcinia cambogia extract (fruit rind), Caffeine 50 mg, Raspberry Ketone and Green coffee bean extract (Coffee robusta),Rice flour, capsule (gelatin, titanium dioxide, Red #40, Blue #1), vegetable magnesium stearate, silica.